Under Armour Uniform Pack #1 & #2 are now available for X-Box 360 & PS3 users in the NCAA Football 13 Uniform Store. The pack (80 MSP/$0.99 PSN) features alternates for Hawaii and Boston College. Bowl season is here and that means the return of the Stat Box Stories Bowl Blitz Invitational. Volunteers from around the NCAA Football community will be playing all 35 bowl match-ups with Stat Box Stories presenting their results with full statistics, game media, and in a template similar to what you would find for game recaps on ESPN.com. 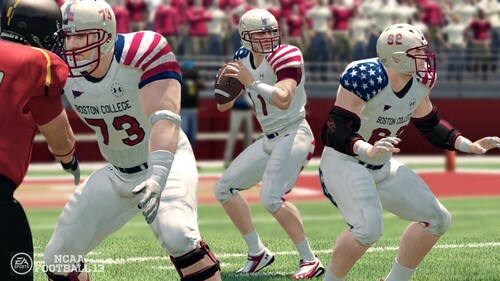 Under Armour Uniform Pack #3 is now available for X-Box 360 & PlayStation 3 users in the NCAA Football 13 Uniform Store. The pack (160 MSP/$1.99) features alternate uniforms for Maryland, Temple, and Northwestern. The third update to the NCAA Football 13 Uniform Store is now available on PS3 (unsure on XBL) - Adidas Strategy Uniform Pack 3. The updates include alternate uniforms for UCLA (LA Night uniform set) and Mississippi State (Snow Bowl & Egg Bowl uniform sets). The cost for the three uniforms is $1.99 or 160MSP. UPDATE: The Title Update (1.04) is now available for PS3 and 360. After downloading the update and playing the game, let us know your thoughts in the comments below. 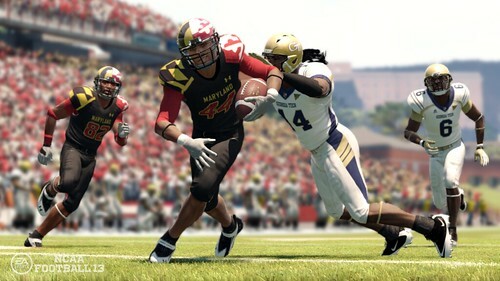 EA SPORTS has announced the next title update for NCAA Football 13 will be coming later this month. The fixes include primarily gameplay dynasty updates though also some stability fixes. Perhaps the chief complaint addressed is the annoying No Huddle that was introduced in a previous Title Update. Continue after the break for the full details. An article from Kotaku's Owen Good echoes much of the communities feelings on the NCAA Football series... not enough changes from year to year. That is, nothing is innovative and distinguishes itself from a previous version. As part of that article, Good reveals that shortly after launch, the NCAA 13 development team was presented with a creative debriefing asking them to guess from various screenshots from NCAA 10 through NCAA 13 which one belonged to each year. The presenter didn't receive an answer. 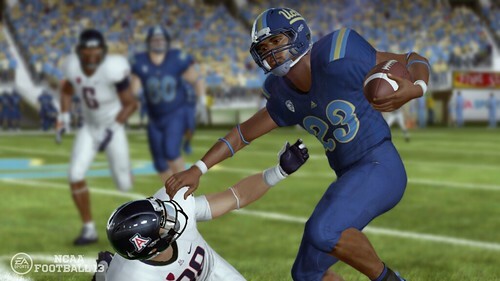 The second update to the NCAA Football 13 Uniform Store is now available. The updates include alternate uniforms for the Nebraska, Wisconsin, and Notre Dame. The Nebraska and Wisconsin uniforms will be for their matchup against each other this Saturday (9/29). The Notre Dame uniform is for their Shamrock Series against Miami in Chicago on October 6th. The cost for the three uniforms is $1.99 or 160MSP. 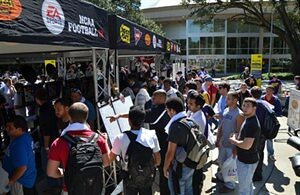 NCAA Football's premier fan event, the EA SPORTS NCAA Football Challenge Tour, a mobile videogame tour with Electronic Arts Inc., kicks off today with a campus competition at San Jose State. The Challenge Tour, which features EA SPORTS™ NCAA® Football 13, will make its way across the country from September through November stopping at 16 college campuses for videogame competitions, including San Jose State, Arizona State, the University of New Mexico, the University of Colorado, SMU, TCU, the University of Oklahoma, Kansas State, the University of Nebraska, Northern Illinois, LSU, the University of Louisville, the University of Tennessee, Virginia Tech, the University of Virginia, and the University of Maryland. Winners from each campus competition will win a $1,000 prize and qualify for the championship bracket to be played online. The two semi-finalists of the online tournament will earn their spot on a trip to a post-season bowl game to compete for the national title and grand prize of $5,000. In addition to the 16 campus competitions, the Challenge Tour will stop at nine college football gamedays, visiting all 11 Division I FBS conferences for the first time. As part of Patch #2, the Uniform Store was unveiled only was empty. 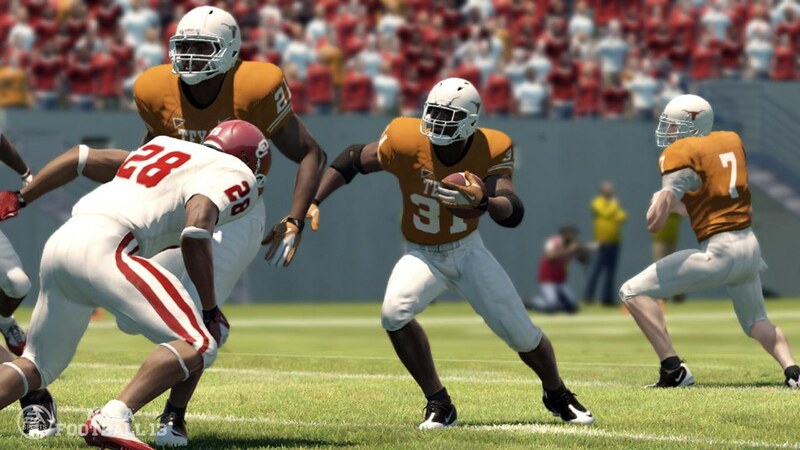 However, users can now begin downloading updated uniforms to use in the game on both X-Box 360 & PS3. 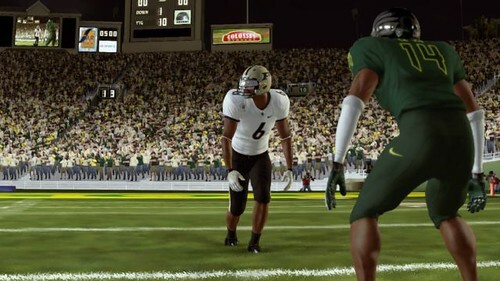 Twenty-three uniforms are included in the free pack including the Oregon uniform pictured above. Additional uniforms for Notre Dame & Michigan in the Adidas Strategy pack will cost you 80 MSP/$1 PSN. Continue after the break for a look at each of the new uniforms. In this episode of the TGT Podcast, gschwendt, JBHuskers, and cdj look back at two of July's most anticipated releases: NCAA Football 13 & The Dark Knight Rises. Did they deliver or disappoint? "Unlock exclusive EA SPORTS @EANCAAFootball content on Reese's Cups! 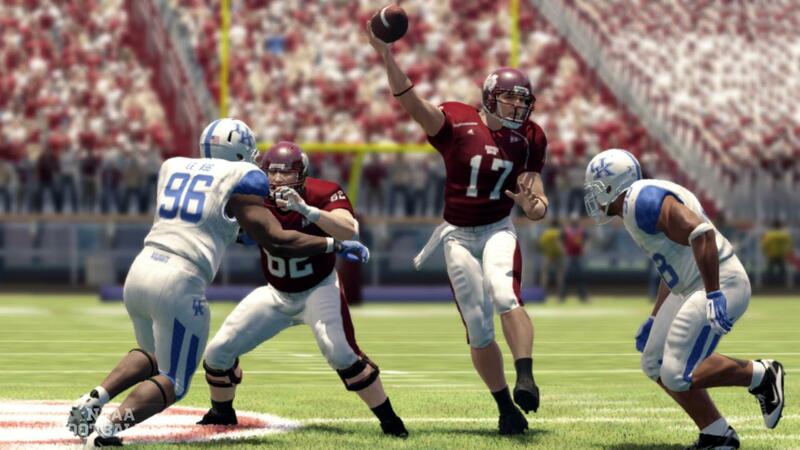 pic.twitter.com/xrZ0b1NJ"
The second NCAA Football 13 Game Update is now available on both XBL & PSN. While an early blog from NCAA Football Lead Producer Jason French detailed some of the improvements planned at that time, more game update details have been announced. Courtesy vgchartz.com, the first three weeks of sales for NCAA Football 13 are now available. Overall, sales are down 95,000 over the same period from a year ago. Despite the second-best PS3 launch in the franchise's history, the total is dragged down by the second-worst 360 launch. In a month that saw retail game sales down 20% over the year prior, NCAA Football 13 was still the top-selling game in July. Why the decrease? There's likely numerous factors at hand, such as the economy, gamer burnout following their experience with NCAA Football 12, and/or a portion of the populace making NCAA Football a purchase every few years and no longer annually. In addition, some in the community have stated that they believe the game is becoming stale. While NCAA Football 13 addressed some of the major complaints from 12 (namely the Online Dynasty 'Transfer Failed'), its wide feature set lacked the depth and/or changes to numerous game areas (Coaching Carousel, Custom Conferences, TeamBuilder, Practice Mode, Online Play, et al.) along with numerous bugs and annoyances still prevalent, including some legacy issues. Fans who relied on reviews to base their purchase decision saw the game's metacritic score drop from the year before with many reviews repeating the theme of bugs and a lack of overall differential from previous iterations. The reviews are in for NCAA Football 13 and scores range from PlayStation: The Official Magazine's 90 to Destructoid's 55. The PlayStation 3 version of the game currently has a metacritic score of 82 with the X-Box 360 version scoring a 75. 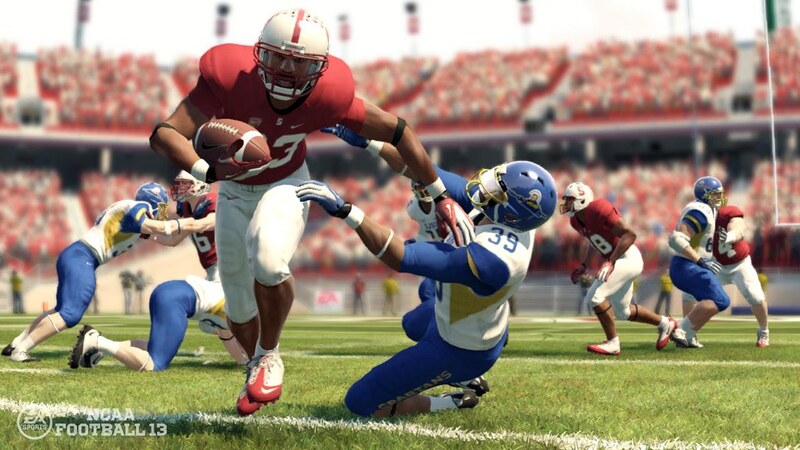 NCAA Football 13 Lead Producer Jason French has released details on two game updates. The first update was available on July 31st and the second on August 15. Game Update #1 is now available for X-Box 360 and PS3 users. If connected to XBL/PSN, simply starting the game will automatically prompt you to download the update. Update 8/1 - A Tuner Pack has been released for both 360 and PS3 users. If connected to XBL/PSN, you'll be prompted if you would like to download it. In order to play any online games (Play Now or Online Dynasty), you'll be required to have this update. Details are immediately after the break. 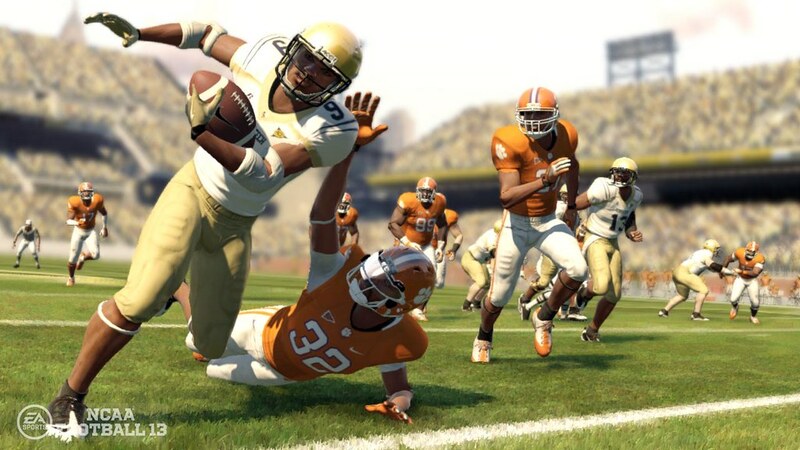 Update 8/14 - The second NCAA Football 13 game update will be available on Wednesday, August 15. Be sure to let us know any feedback regarding either the Title Update or the Tuner Pack. 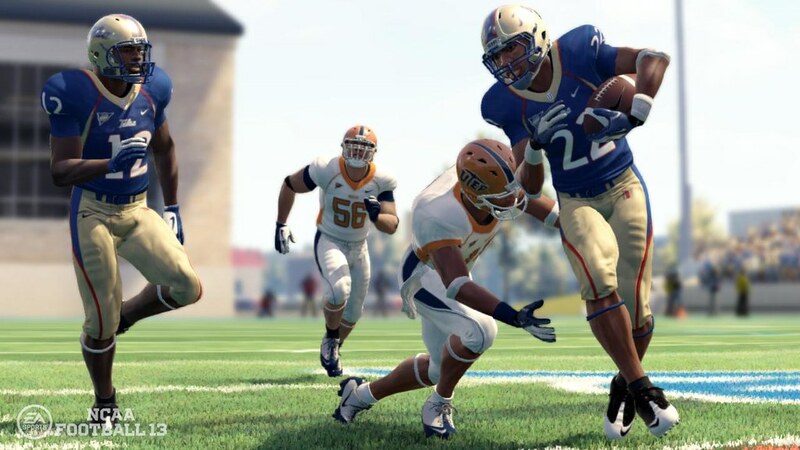 EA SPORTS NCAA Football designer Michael Weisbecker has posted a new blog detailing the online ranking system and points earned from playing games and attaining wins, including some changes made post launch. EA SPORTS NCAA Football 13 Podcast - The Podcast Dynasty Begins! 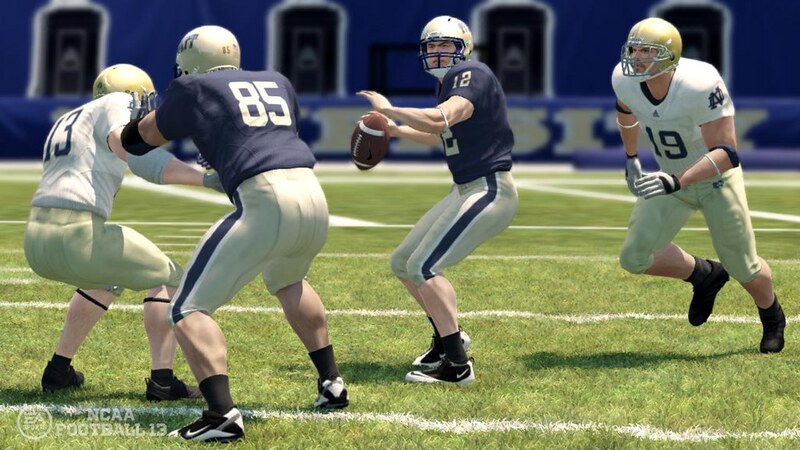 In Episode 7 of the official NCAA Football 13 Podcast: AJ, Justin, Ben and Christian talk about the upcoming Title Updates 1 & 2, the NCAA Football 13 Uniform Store and beginning the official NCAA Football 13 Podcast Online Dynasty! 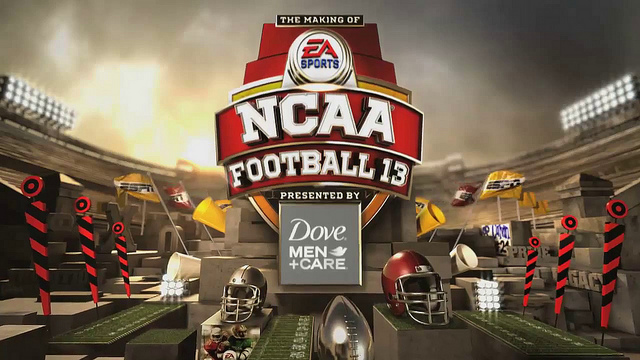 Thanks to the hard work of the community, NCAA Football 13 rosters are now available for PS3 & 360. As always, roster files are meant to be distributed freely and never paid for. Spread the word about FREE rosters to all of your friends and fellow NCAA Football community members. 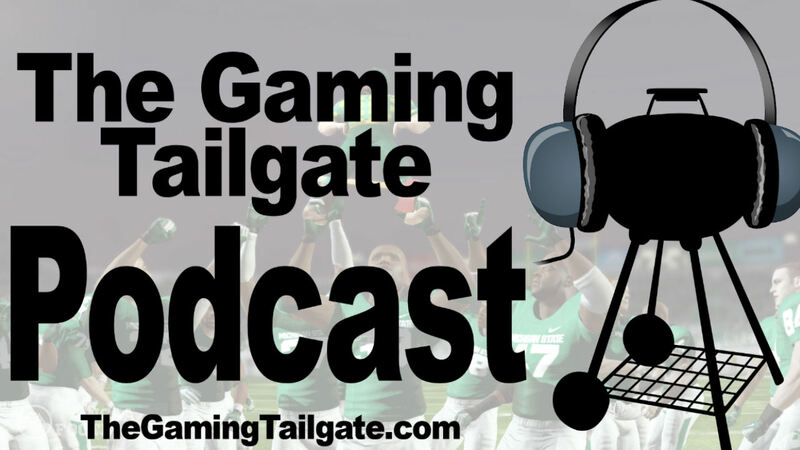 The Gaming Tailgate has received early copies of NCAA Football 13 and therefore gathered media, videos, and answered numerous questions from the community. Continue on to see TGT's NCAA Football 13 media and if you have any requests or comments, follow the appropriate links below.